Love is in the air with our collection of romantic heart cut solitaire diamond engagement rings. 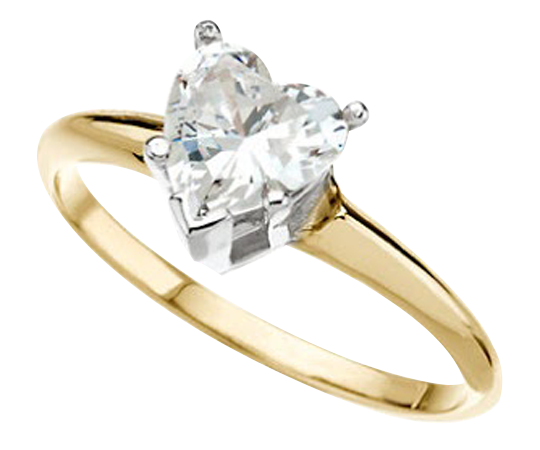 This timeless cut is sure to grab the heart of your loved one. Heart Shaped diamonds are a shape that all women love and for good reason. This cut is especially popular around Valentine’s Day or for a special occasion such as a wedding anniversary. At Caratsdirect2U we have a huge selection of heart shaped diamonds mounted in solitaire settings ranging from 0.5-2.00 carats. We also have a large range of white colors ranging from D all the way to I Colors. In addition we carry the following colors Natural Deep Orange, Cognac, Deep Blue as well as colored Irradiated Diamonds. These unique diamonds are set in a 4 prong setting in 14k white gold.